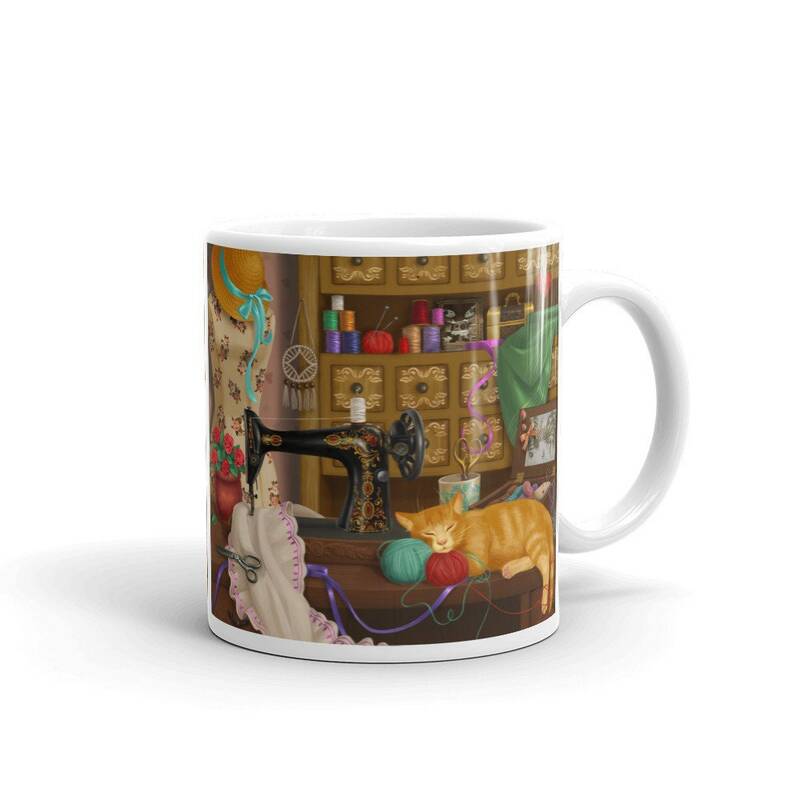 This unique cat coffee mug was designed as a companion piece to our cross stitch pattern "Sewing Room Cat" which you'll find here: https://www.thecrossstitchstudio.com/listing/684987581/ It features a ginger cat napping peacefully in his owner's well-organized craft room. 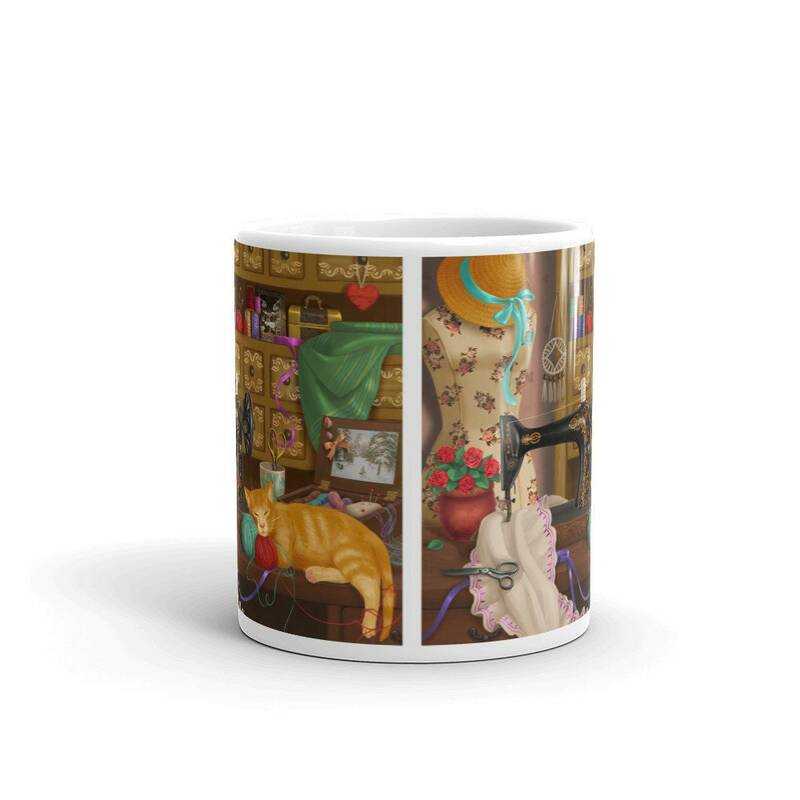 Made from sturdy ceramic with a vivid print that's both microwave and dishwasher safe, it holds 11 ounces of your favorite beverage in style. 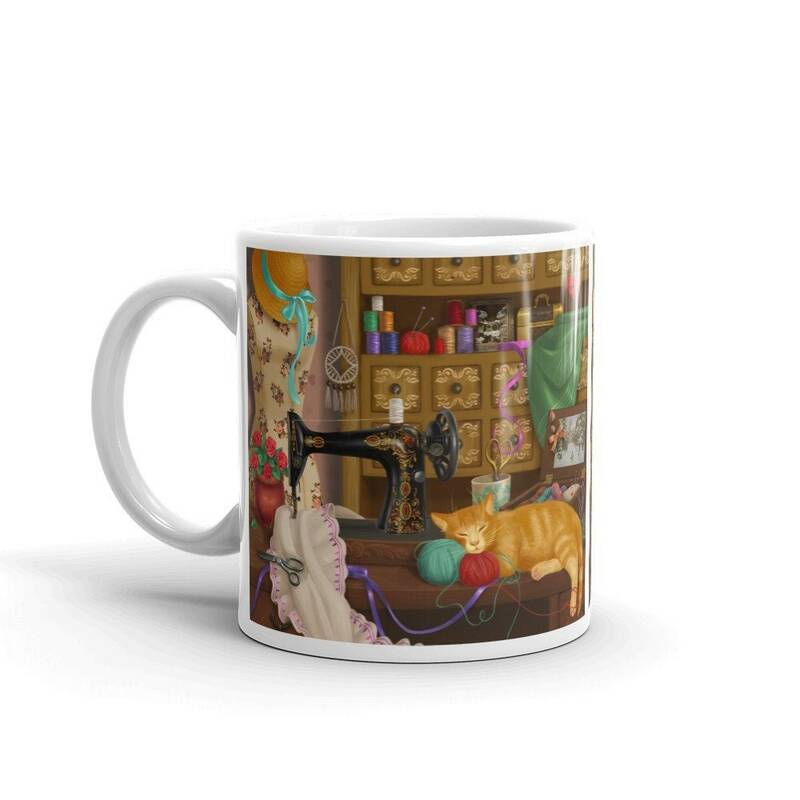 Makes the perfect gift for your favorite cat lover, seamstress, or creative crafter!